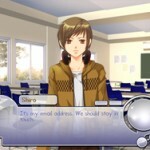 This small indie company specializes on Japanese manga style visual novels. 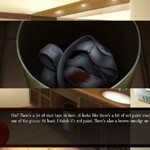 Jisei is a supernatural mystery game produced by sakevisual. 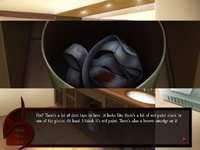 A young teenager with no name and no home has the unique ability to relive the death of any corpse that he touches. When he stumbles upon a dead woman, he’s immediately branded as the primary suspect in a murder investigation. Step into his shoes and search for clues, interrogate witnesses, and find the true murderer. Even with your extra abilities, it will still take solid facts and logic to prove your innocence! Merui loves video games, especially her favorite MMORPG, Rivenwell Online. Merui also has a very short temper, so when some JERK named Alistair steals a rare item from her, she’s determined to exact revenge on him. Unfortunately, she has no idea who he is in real life. But hey, that’s never stopped anyone, right? 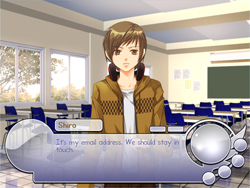 Take control of Merui and make new friends, balance schoolwork and fun, go shopping, search for the culprit, and maybe even discover a new romance. Ripples is not a game, nor is it really much of a novel. It’s the beginning of a journey. 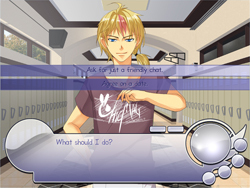 A few years ago, I stumbled upon the Ren’py visual novel engine. 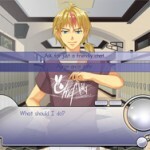 A friend of mine was going through a really rough patch, so I decided to make a visual novel to encourage him. I had no clue where to start or how to go about doing it, but after a week of work, I managed to create a simple visual novel. It was a short story featuring a single character sketched roughly on the computer, voices recorded on a laptop mic, and some bland music I generated with a MIDI maker. I called it Ripples and released it to the world. The reception was more than I could have hoped for. The story struck a chord with many people, and I received a lot of encouragement from people. Inspired by the feedback I got from Ripples, I pressed on to make more visual novels, each more ambitious than the last. Now, all these years later, the story of Ripples is still one that I wish to share with the world. But this time, I’m not alone. I’ve made wonderful and talented friends over the years, and with their help, I’ve remade Ripples. The art is better, the voices are better, the music is better, and the writing is better, but it still tells the same story. This is the story that started it all. It’ll only take a few minutes of your time, but I hope that Ripples will be the first step in your journey as well. Please enjoy.